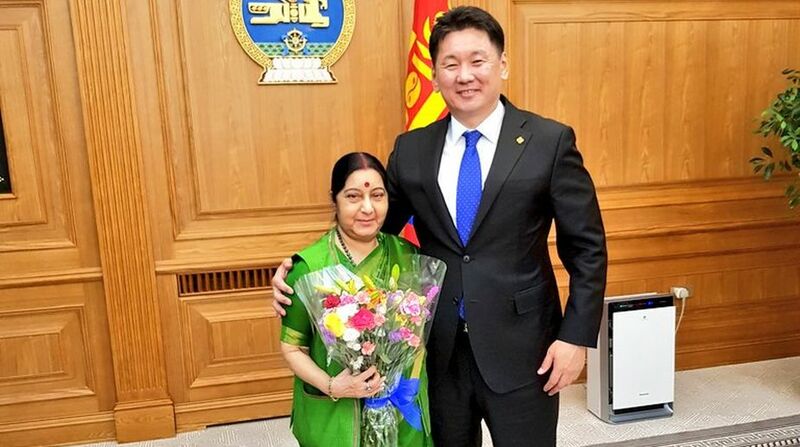 Indian External Affairs Minister Sushma Swaraj on Wednesday called on Mongolian Prime Minister U. Khurelsukh here and discussed issues of bilateral cooperation. “Among other issues, discussed cooperation between our Parliaments, which is an important pillar of our bilateral relationship,” the Indian spokesperson said in a separate tweet. Earlier in the day, Sushma Swaraj and her Mongolian counterpart Damdin Tsogtbaatar co-chaired the sixth round of the India-Mongolia Joint Consultative Committee (IMJCC), focusing on a range of issues including economic, energy, political, strategic, educational and cultural ties. Addressing the media following the meeting, Sushma Swaraj said that both sides agreed to jointly combat terror and boost bilateral trade. 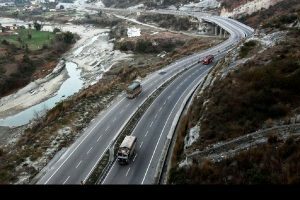 Sushma Swaraj arrived here from China on Tuesday in what is the first visit by an Indian External Affairs Minister to this landlocked Asian country in 42 years.